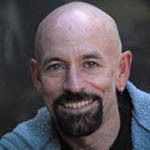 Former Microsoft Research fellow at the STUDIO, Robert Atkins is an award-winning art historian, activist, and bestselling author of ArtSpeak and ArtSpoke. From 1987 to 1997, he wrote a biweekly column on art and politics for the Village Voice. A co-founder of Visual Aids, he lives in Palm Springs and San Francisco.